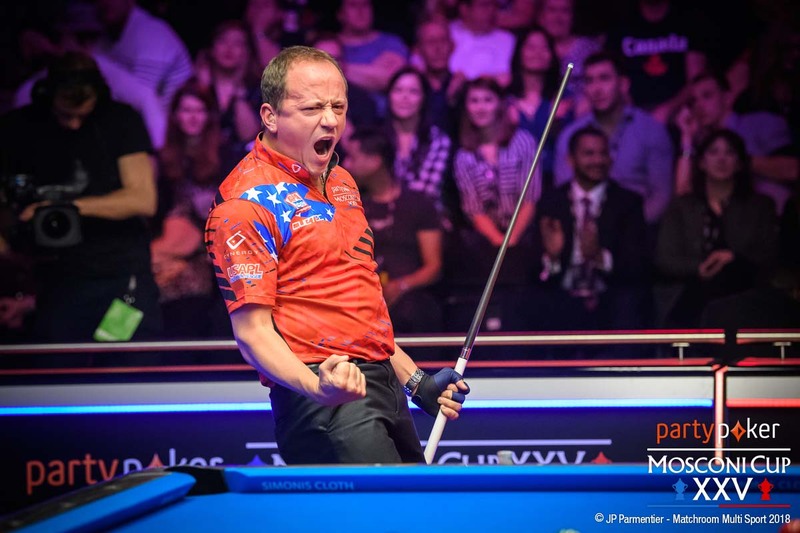 2018 partypoker MOSCONI CUP - USA wins! 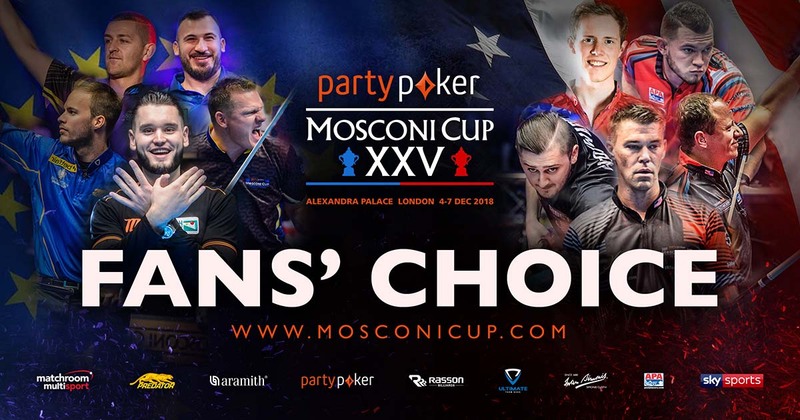 THE partypoker MOSCONI CUP has changed hands for the first time in eight years as Team USA enjoyed a thrilling and dramatic 11-9 victory at the Alexandra Palace tonight. The last time they lifted the Cup was as long ago as 2009 and it was the same man – Shane Van Boening – who deposited the final 9 ball with a 3/9 combination to beat Alexander Kazakis and win the Cup. 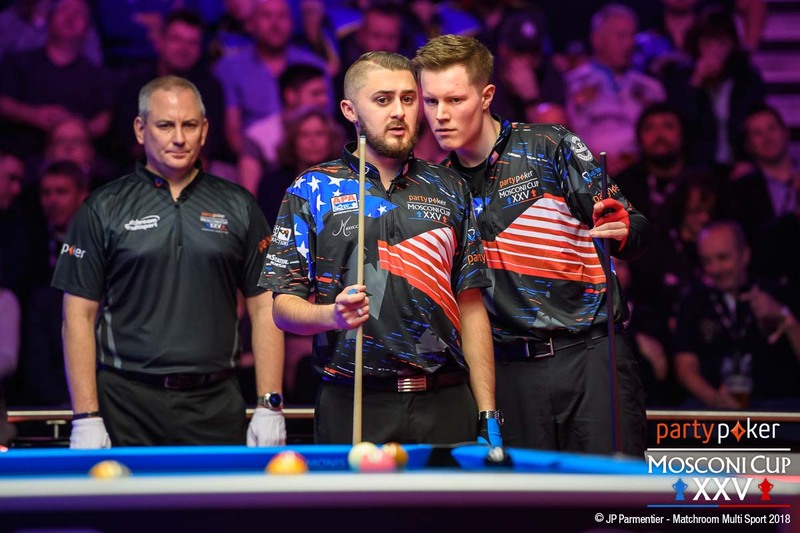 TEAM USA are just two points away from winning the partypoker Mosconi Cup for the first time since 2009 as they won their third session in a row following a hard-fought evening at the Alexandra Palace. 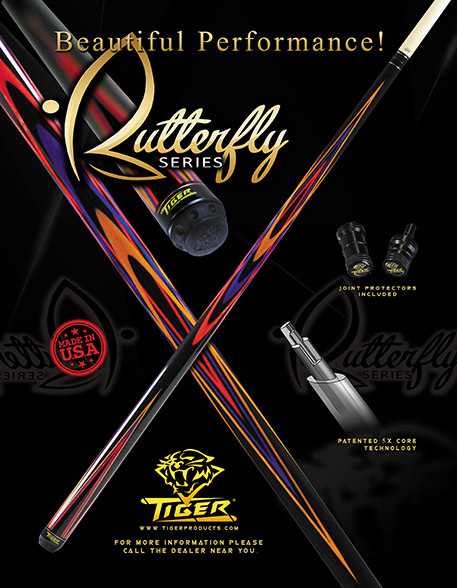 Incredibly, 2005 at the MGM Grand, Las Vegas, was the last time that the USA had won three sessions in a row at the Mosconi Cup. Having not won for such a long time, America were understandably massive outsiders at the outset of the event but now stand on the brink of a stunning upset as the galvanised team played with heart, grit and a huge amount of skill. 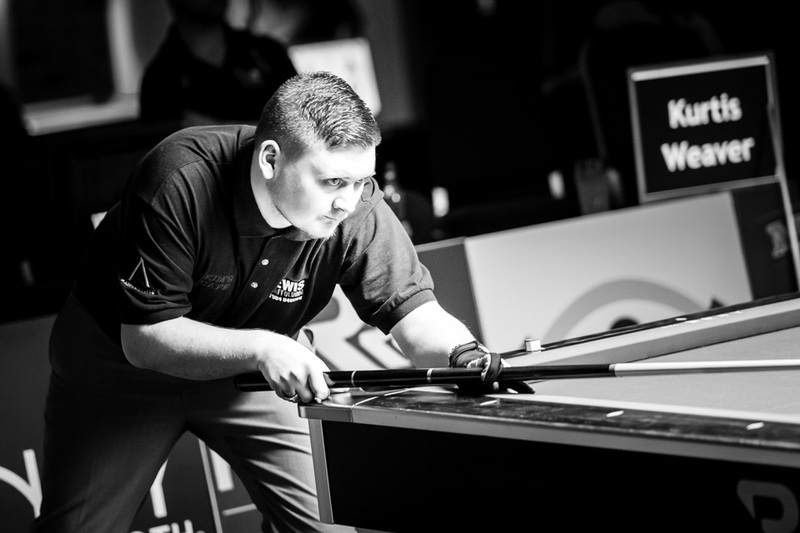 The first step to securing Olympic status for 2024 was taken earlier this year by the World Confederation of Billiard Sports (WCBS), the umbrella organisation representing snooker, billiards and carom, when the formal submission for billiard sports to be included as an additional sport at the Paris Games was made with the full cooperation of the FFB. 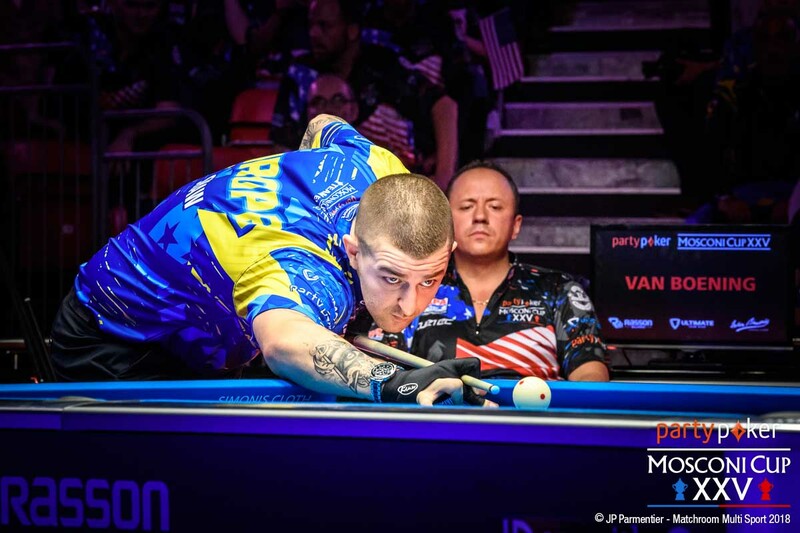 The World Pool Series is proud to announce that registration for the Predator Grand Final has been opened. 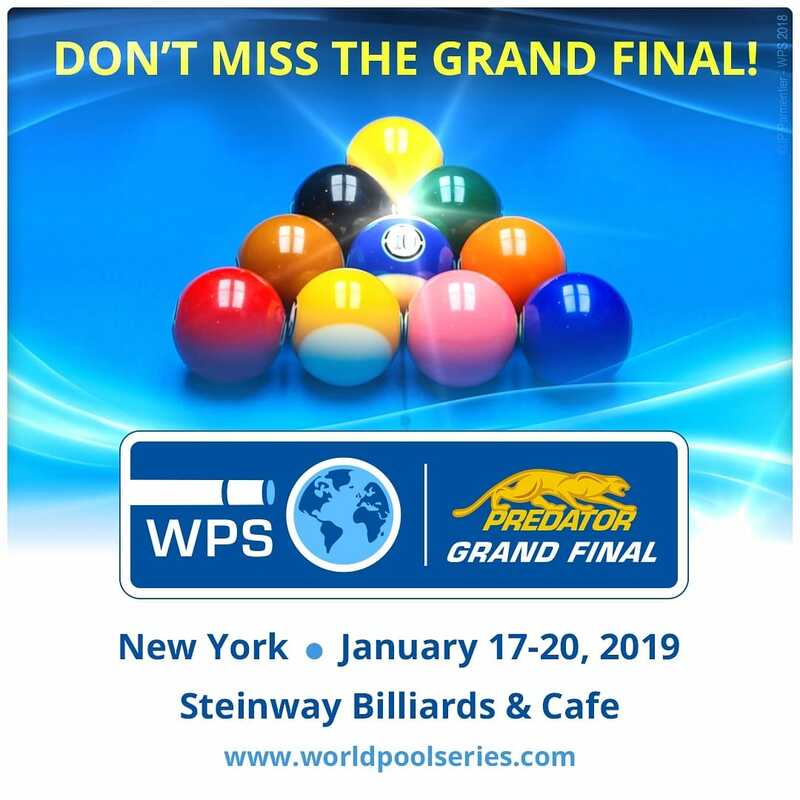 The Predator Grand Final will take place in Steinway Billiards, Astoria, Queens, New York City from January 17-20, 2019. 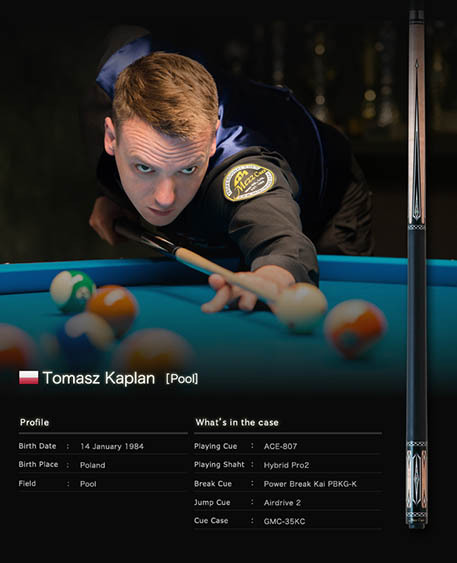 After a poll on the WPS Facebook page, the fans have decided that the players will be playing 10-Ball during the final event of the 2018 season. 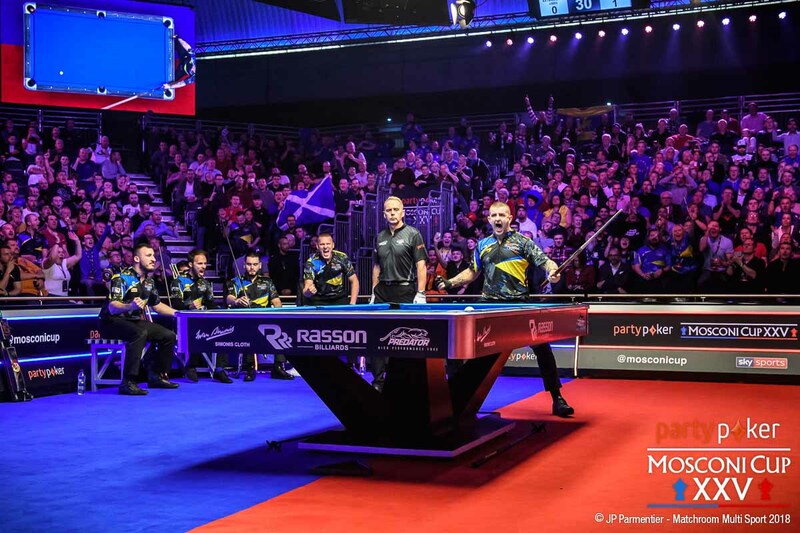 With 62%, it was a convincing win for one of the newer disciplines in the pool world and one which has won over the hearts of many fans and players. - Tier 1 has been set up for the professional and semi-professional players which will give them access to the Grand Final and the chance to win the estimated first-place prize of $10,000 (based on a field of 128 players). - Tier 2 gives amateurs, ladies, juniors under 18, and league players a chance to compete against some of the best players in the world for a reduced entry fee. But that’s not all, their entry fee also includes an entry for the Poison Challenge Event which is only open for Tier 2 players who have participated in the Grand Final which will have an estimated prize pool of $2,000. Click the image to view the larger image - use "back" to return here. An eventful tournament at Telford this time, as the live streaming computer's video card has melted, perhaps under the strain of Saturday's colourful commentary by the outspoken Chris "Chief Pidgeon" Patient - so a chance of no live streaming of the final on Sunday, but fortunately the GB9 team were able to buy new graphics cards on Sunday, so no disappointment to the many who were looking forward to a day of top flight pool action. Fortunately, we are able to share this selection of stunning black and white images created by the stylish lens of photographer Lee Rigby - all available to view in the article below, and as always we wish to express our gratitude for Lee's sterling efforts. There are currently, 116 guest(s) and 0 member(s) that are online. Page took 0.082794 seconds to load.